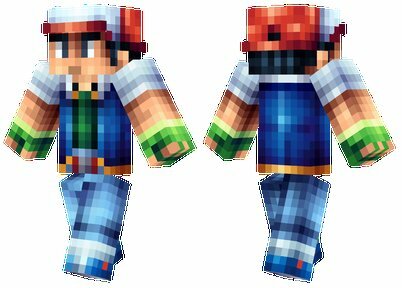 Ash Ketchum – You may not be able to catch Pokemon and battle other trainers in Minecraft, but that doesn’t stop you turning your character into the series’ iconic protagonist. Ash Ketchum’s red and white hat can clearly be seen on the skin, as well as his famous blue and white jacket. It’s certainly one of the most detailed and colorful skins available. Spiderman skins are always popular choices in games that let you switch them up. In Minecraft, the Spiderman skin resembles one of the older suits with a significant amount of lighter blue on its lower half and a black spider symbol on the chest. Unfotunatley, you won’t be granted the ability to swing between the trees. You’d certainly stand out in Minecraft’s world if you were to use the Puss in Boots skin. The coloration manages to make the shape of a cat’s face clear and creates the illusion that his famous hat is larger than his head. The skin even manages to make both the boots and sword stand out. You can pretend to be the yellow and red styled version of the Marvel hero with this skin. The details on the arms and legs of the suit are a little difficult to make out but the helmet and the central Arc Reactor look excellent and differentiate the Iron Man skin from other colored skins. The popular Overwatch character has recently been re-created as a Minecraft skin. Lucio’s yellow, blue, and green attire is clear to see but it is his unique hairstyle that stands out. The great design makes it look like his yellow dread-locks are actually flowing from the back of his head. If there was an award for most vibrant Minecraft skin, it’d undoubtedly go to the Tetris skin. It isn’t just as mass of bright colors though, as you can see the shapes of individual pieces in the skin, with the head piece looking like a helmet a DJ would wear. The Yoshi Minecraft skin may be one of the strangest looking skins you’ll find. Due to the size of your characters, it doesn’t make you look a whole lot like the tiny dinosaur but the color is easily distinguishable and facial detail is well designed. Yes, it is Yoshi, not a cartoon crocodile. Very few characters are as easily recognisable as Captain Jack Sparrow. This Minecraft skin perfectly captures the pirate’s disheveled look with his unbutton shirt and his hair kept in place by instantly recognisable red head band. You can even spot his sword down to his left hand side. The skin is one of the most detailed you’ll find as well. 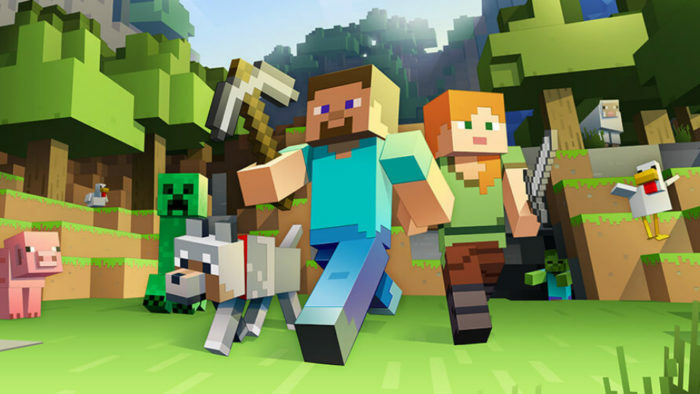 When the design is instantly recognisable, a Minecraft skin can be considered to be good. When you look at the Wario skin, anyone with any video game experience is likely to recognise it. On top of his famous yellow and purple overalls, Wario’s standout pink nose and huge moustache are clear to see. Robin Williams’ Genie from Alladin is one of the most iconic characters in Disney’s history. With the cheeky grin and manicured beard, any caricature of his is instantly recognisable. That is certainly the case with the Minecraft skin. The shade of blue is spot on and both his facial hair and toothy smile are perfectly designed. Freddy Fazbear (the bear from Five Nights at Freddy’s) is quite an odd looking character to begin with. His distinctive creepiness is captured perfectly in the Minecraft skin. His eyes are piercing and his grin is as unsettling as it is in the original game. Using this skin will undoubtedly make other players uncomfortable. It’s always impressive when creators manage to make a Minecraft Skin look like another characters even with the square shape of the head. The intricate design of the Diddy Kong skin manages to make the head look like an entirely different shape to other skins. His eyes, mouth shape, and clothes are re-created excellently, too. Banjo-Kazooie, the much loved character, is a great choice for a Minecraft skin. You can clearly make out his famous backpack and yellows shorts combo. It does look like he’s a bit cross-eyed, however. Flappy Bird is already a strange looking character in its own game, but it looks even weirder in Minecraft form. Its huge eyes make it looks like its staring at you and the long body doesn’t make it look much like a bird at all. That being said, the design of the face makes it easy to work out what character it is, and you’ll certainly stand out in game. Minions are one of the most recognisable movie characters in the world. Considering the shape of Minecraft character, it is impressive that a short character like a Minion can be turned into a Minecraft skin so successfully. To get the head shape correct, the head and part of the body are combined to increase its size. The color is on the darker side but it is a skin almost anyone would recognise. You may not be able to catch Pokemon and battle other trainers in Minecraft, but that doesn't stop you turning your character into the series' iconic protagonist. Ash Ketchum's red and white hat can clearly be seen on the skin, as well as his famous blue and white jacket. It's certainly one of the most detailed and colorful skins available.